Nursing may be one of America’s most respected and most beloved professions, but it is also a profession in crisis. According to the U.S. Bureau of Labor Statistics, 55 percent of registered nurses in the United States are more than 50 years old. The bureau projects that more than 500,000 of these nurses will retire in the next five to 10 years. These retirements will come at a time when demand for nurses is expected to rise by at least 14 percent in part because of the rapid graying of the American population. In Texas, the numbers are just as daunting. According to the Texas Center for Nursing Workforce Studies, demand for full-time registered nurses exceeds supply by more than 20,000. The nursing shortage is compounded by another problem: a nursing faculty shortage. According to the American Association of Colleges of Nursing, the nation’s faculty nursing shortage is the principal reason why nearly 70,000 qualified nursing school applicants are turned away each year. Addressing this situation in Texas in an efficient and effective manner requires cooperation among community partners – and our community is doing just that. Working in partnership with community colleges in Dallas-Fort Worth and around Texas, as well as with employers of registered nurses and organizations such as the DFW Hospital Council, the University of Texas at Arlington’s College of Nursing and Health Innovation has taken steps to expand access to nursing programs and ultimately increase the number of nurses in our community. In the last several years, UTA has developed partnerships with many community colleges around the state, including those at DCCCD. At the core of UTA’s “Pathways to Nursing” program are articulation agreements with more than 20 community colleges in Texas. These agreements use standardized general education requirements and provide for a smooth transition into the College of Nursing and Health Innovation’s RN-to-BSN program. These partnerships make it easier for working nurses to complete their bachelor’s degrees – a requirement increasingly demanded by employers – quicker and at a lower cost. After completing the first part of the pathway at a community college, the vast majority of transfer students enter UTA’s nursing program with their degree requirements completed and are therefore able to graduate in two years or less. The college’s students and alumni say these well laid out partnerships strongly influenced their decisions to pursue their bachelor’s degrees at UTA. They see the partnership as a meticulously designed road map that makes it easy for them to complete their degrees without having to duplicate courses. In particular, Dallas County Community College has been aggressive about expanding this agreement. UTA’s College of Nursing and Health Innovation welcomes the opportunity to expand partnerships or articulation agreements to include other community colleges around the state and around the country. These partnerships with North Texas Community Colleges and UTA are a using a well-defined and seamless pathway to prepare highly skilled nurses for the Texas workforce at an affordable cost. UTA’s undergraduate nursing programs are available online and could easily be expanded around the state to meet critical needs. The college’s efforts to expand online have been wildly successful and are often cited in academic circles as a national model. The unprecedented growth experienced over in the last decade has transformed the college into the largest producer of registered nurses with BSN degrees in Texas and one of the largest nursing programs in the country. 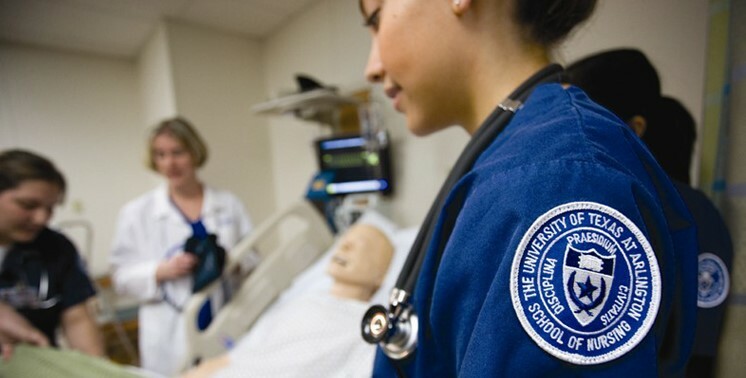 UTA and its community college partners will continue to meet the challenge, expanding these highly successful pathways to meet the nursing demand in Texas and welcome every opportunity to develop additional partnerships across the state. With these agreements, everyone wins. Registered nurses seeking to further their education at a first-rate university win. Employers — who now recognize that patients get better healthcare outcomes when cared for by nurses with bachelor’s degrees or higher — win. And all the residents of our great state of Texas win.